He is expected to further attack costs at the German giant while also putting more emphasis on new technologies and services. And VW officials suggested they could move to trim assets, though they cautioned that a rumored spin off of their truck business isn’t in the cards – yet. “We want to create a slimmed down company with strong brands,” Diess said during his first news conference as chief executive. And he said he wanted to “significantly step up the pace” of VW’s forays into electric propulsion and autonomous vehicle technologies. 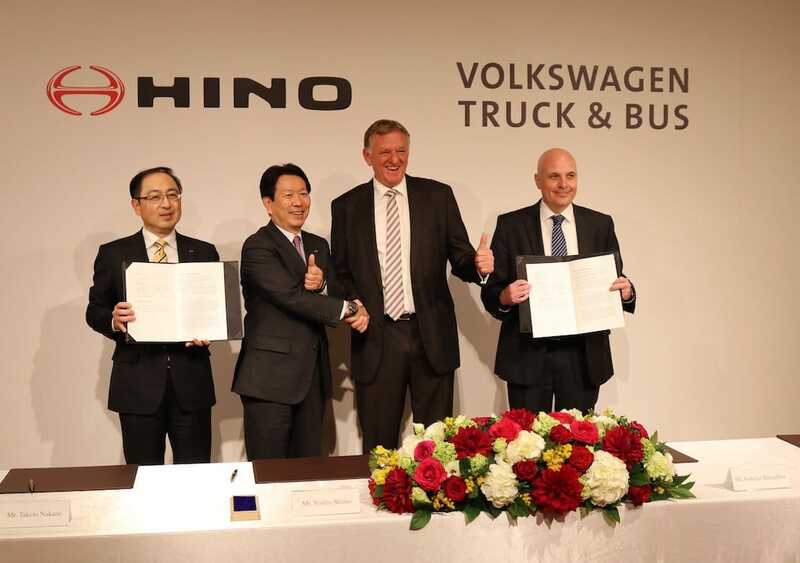 Diess is likely to rely more on partnerships, like the newly announced deal between Hino and VW, to grow in the future. 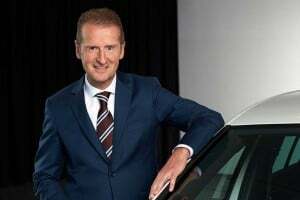 The 59-year-old Diess replaces Matthias Mueller, the former head of Porsche who was hurriedly appointed CEO in autumn 2015 after former VW Group boss Martin Winterkorn was forced out as a result of the diesel scandal. Mueller was an almost accidental choice. Many believe Diess was originally lured away from BMW with a promise of eventually becoming Volkswagen CEO but wasn’t considered ready when Winterkorn was ousted. Perhaps not, but he proved his mettle quickly attacking long-standing problems such as VW’s bloated workforce. Though they sold roughly the same number of vehicles in 2017, the VW Group currently employs 642,000 people worldwide compared to Japanese rival Toyota’s 364,000. The VW figure reflects a headcount reduction negotiated by Diess that eliminated 30,000 jobs and trimmed costs by nearly $5 billion. But it led to a rare public clash with VW’s powerful works council chief Bernd Osterloh, who accused Diess of betraying workers under the pretense of responding to the diesel scandal. It appears Diess is far from finished when it comes to cutting back, but his relationship with the union boss appears to have improved markedly – especially with worker representatives getting new powers as part of this week’s management shake-up. For his part, Osterloh said, “We are convinced that, with Diess, we have the right man on board,” in a letter sent to Volkswagen employees on Friday. The shake-up appears to touch virtually every corner of the vast company that operates 12 separate brands. They will now be reorganized into three new groups: mass-market, premium and super-premium – though the Audi brand, which has operated semi-independently will retain much of its autonomy as the sole inhabitant of the premium group. 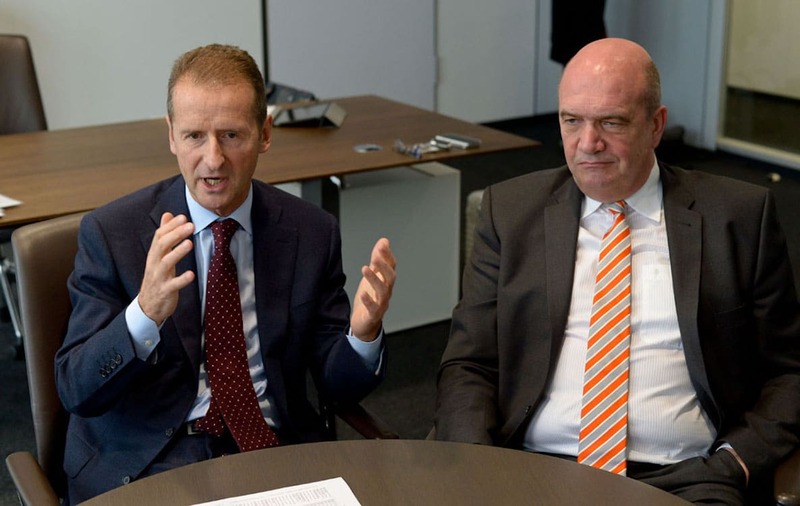 Bernd Osterloh, right, said of Diess "we have the right man" in place in a letter to VW employees. During the Friday news conference, Diess said he will “forcefully and with focus press ahead” with the carmaker’s Strategy 2025 plan. The centerpiece of that is the steady shift away from the diesels that have long dominated VW’s line-up to electrified models. The various VW Group brands intend to have 30 all-electric models on sale by 2025. Many of those, including a modern remake of the iconic VW Microbus, will be marketed through the new Volkswagen I.D. sub-brand authorized by Diess while running the VW brand. The new CEO has also been an active proponent of autonomous driving technology, as well as new mobility services. Eventually, many industry observers expect millions of consumers to shift away from personal vehicles in favor of electrified, driverless models operated by ride-sharing services such as Gett, in which VW is a major investor. In his bid to trim VW into a more manageable company, Diess also said he would consider selling off some of Volkswagen’s assets while partnering with other manufacturers on technologies like autonomous driving. 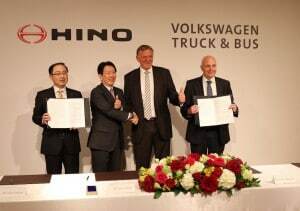 One such alliance, between VW and Toyota’s Hino subsidiary, was announced earlier this week. Another factor driving VW to consider the sale of its assets is the hefty cost it has paid as a result of the diesel scandal – an estimated $30 billion in buybacks, fines and settlements in the U.S. alone. The automaker considered selling off its Ducati motorcycle division but recently backed away from that plan. It is now looking at the possibility of selling shares in its truck and bus operations. But Chairman Hans Dieter Poetsch said Friday there are no plans to spin off that division – at least not right now. But Diess said he would look at brands like Renk and MAN Diesel and decide whether it makes sense to eventually sell them off. VW climbed to the top of the automotive ladder in 2016, toppling Toyota as the global sales leader. Where it finished 2017 is a matter of debate. It claims to have retained its ranking as king-of-the-hill, though rival Renault-Nissan-Mitsubishi Alliance insists it wound up on top after factoring out some of VW’s truck sales. This entry was posted on Friday, April 13th, 2018 at and is filed under Automakers, Automobiles, Business, EVs, Executives, IG Metall, Luxury Vehicles, Personalities, Pickups, Sports Cars, Super Cars, Union, Volkswagen. You can follow any responses to this entry through the RSS 2.0 feed. Both comments and pings are currently closed.